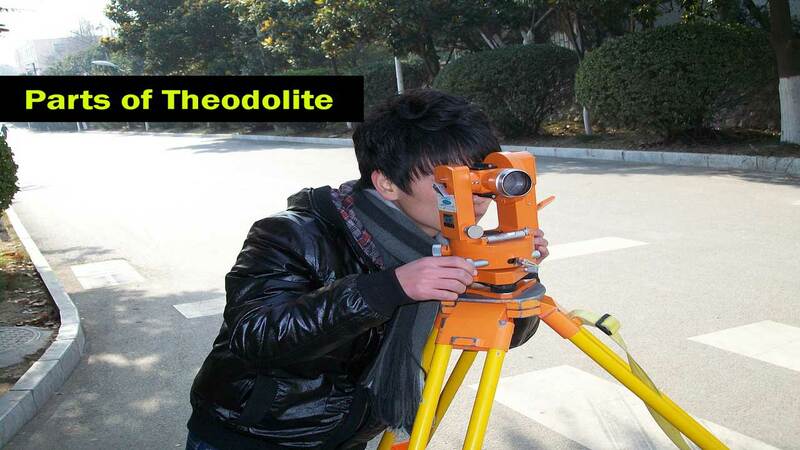 Theodolite is an instrument designed for measuring angular measurements. It is one of the most precise instruments available for the angular measurements in the market. You’ll know Theodolite parts and functions here. Besides the measurements of angles, it may also be used for prolonging the survey lines, establishing grades, locating points on a line, determining the differences in level, etc. There are many different theodolite parts. But here in this article, you’ll understand the common and essential parts of theodolite. (i) It provides a bearing for the outer hollow spindle. (iii) It is the mean of leveling the instrument. In the modern instruments, it embodies a shifting stage or shifting head or centering arrangement with which the suspended plumb-bob may easily and quickly be centered over a point. The leveling head may consist of either two circular plates (called parallel plates kept at a fixed distance apart by a socket-and-ball arrangement with four screws which are called the foot screws or leveling screws) or a tribrach plate (with three arms which carries a leveling screw). The outer axis is attached to the lower plate which consists of a horizontal circle, usually whole circle division, i.e., with whole circle graduation: from 0° to 360° in clockwise direction. Perpendicular to the lower plate is the outer hollow spindle which, enclosing the inner Spindle, rotates in the leveling head. This lower plate is locked to the leveling head and also moves relatively by means of a clamp screw and tangent screw, and such motion is called the lower motion. It is also called as scale plate and has its edge beveled. The nature of graduations depends upon the size of the instrument; It may be graduated to degrees and half degrees and one-third of a degree or degrees and one-sixth of a degree. It is the diameter of this plate which actually designates the size of the instrument, such as 10 cm or 15 cm instrument, etc. The lower plate is fixed to the upper one by the clamp screw and may be rotated slightly relative to the upper part of the instrument by a tangent screw. There are two spindles or axes or centers one inside the other. The two axes are such that they are co-axial which form the vertical axis of the instrument. The outer spindle is hollow whose interior is formed conical to accommodate the central vertical axis or inner axis which is solid and conical. This part of the theodolite is also known as the vernier plate and is attached to the inner axis. The clamp and tangent screws are provided to clamp the upper plate with lower plate. If both the plates are clamp then the lower Clamp is loosened, the instrument may be rotated about the outer axis while if the lower plate is clamped and the upper one is loosened, the instrument can be rotated about the inner axis. The upper plate is provided With two verniers A and B with magnifiers. These verniers are placed 180° apart to read horizontal angles up to 1-0 minute or 20 seconds, but in large instruments, three verniers are placed at 120°. The upper plate with standards (A-frames) is sometimes called the alidade of the theodolite. These two theodolite parts or standards, which resemble the letter A in shape, stand on the upper plates for supporting the horizontal axis. Watch the Video Below to understand the Theodolite Parts easily. Two spirit levels which are called the plate levels are fixed on the upper surface of the vernier plate. These are at right angles to each other, and one of them is parallel to the horizontal axis. The circular or trough type compass box is attached to the instrument. The circular type is mounted on the upper plate between the A-frame. While the trough type is attached beneath the scale plate or it is screwed to one of the standards. In modern Theodolites, the tubular type compass is screwed to one of the standards. This Theodolite Part is used to sight distant objects. It is rigidly fixed at the center of a horizontal axis and is perpendicular to it. It can be either rotated in a horizontal plane or in a vertical plane. The horizontal motion may be measured on a horizontal graduated circle by means of two verniers, and the vertical motion may be measured on the vertical graduated circle by two more verniers. These theodolite parts are rigidly attached to the telescope and moves with the movement or rotation of the telescope. It has two verniers C and D, and the circle is silvered and divided into four quadrants. In each quadrant, the graduations of 0° to 90° are marked in opposite directions from two zeros at the ends of the horizontal diameter of the circle. The line joining zeros is parallel to the line of collimation of telescope when it is perfectly horizontal. The least count of the vertical circle vernier is usually the same as that of horizontal circle verniers. The clamp and tangent screws of the vertical circle help in setting up of any desired position accurately in a vertical plane. It is T-shaped and is centered on the horizontal axis of a telescope in front of the vertical circle. Two verniers C and D are provided at the ends of the horizontal arms or limbs called the index arm. A vertical leg which is called the “clipping arm” is provided with a fork and two clipping screws at its lower extremity. A plumb bob is suspended from the hook fitted to the bottom of the vertical axis. It is used to center the instrument exactly over a station point. The cord is provided with a slip knot to allow the plummet to be adjusted at the desired level. It is numbered in the most important theodolite parts. 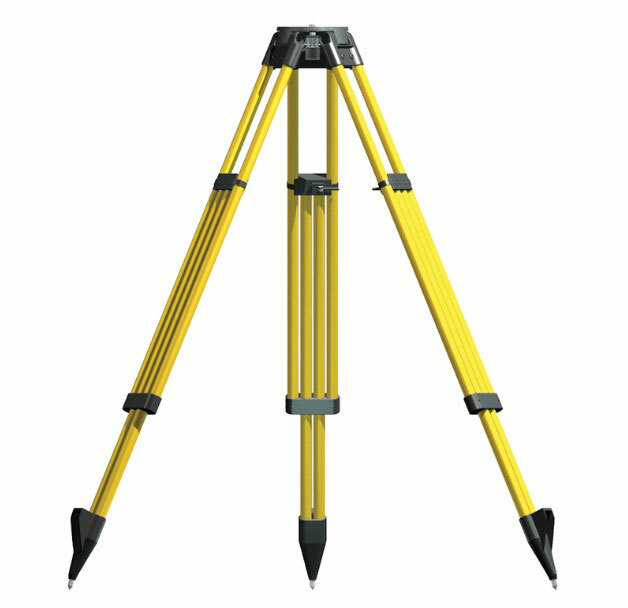 It is a stand with three legs on which the theodolite is supported while taking the angular measurement during a survey. The legs may be solid or framed, but the solid leg tripod is most common. The legs may be made from wood or metals, and pointed steel shoes are provided at their lower ends to get them pressed firmly into the ground. The tripod should be rigid. The tripod head is provided with an external screw to which the internal screw of the instrument may be fitted. The cap is screwed to protect the external screw when a tripod is not in use. The site is impressing.is there any hard book for civil guide?